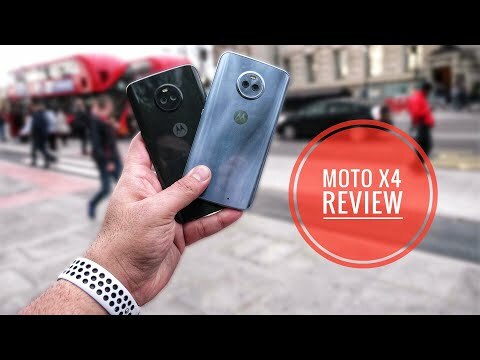 The Moto X4 is an elegant phone with brilliant performance, unbelievable charging speed and glass back are the best part of the total package. The phone&apos;s sleek design and water resistant are the things I like the most, Worth the money spend on it. Speaking of battery life, the smartphone will last you a day easily in one charge. I am a heavy user and well I am totally satisfied with this smartphone. 2 Pricebaba users have written their experience with Motorola X4. If you own Motorola X4, please do leave your feedback too. Lowest price of Motorola X4 price in India starts at Rs. 10,449 Motorola X4 is available on Amazon at Rs. 10,449. Prices updated on 20th April 2019. Motorola launched the Moto X4 as the fourth iteration in its X-series lineup. The Moto X4 was announced in August 2017 with its release expected in October 2017. The Moto X features a metal unibody design with its front sporting its 5.2-inch screen and a fingerprint sensor. On the back is where Motorola has integrated its dual camera setup which is aesthetically placed in a circular module. On the display front, the device sports a 5.2 inch Full HD IPS LCD panel having a resolution of 1080 x 1920 pixels. The display boasts a crisp pixel density of 424 PPI. The smartphone features a dual-rear camera setup which comprises of a 12-megapixel, f/2.0 primary sensor coupled with a secondary 8-megapixel, f/2.2 sensor. The camera module is also combined with a dual tone LED flash for capturing images in low light conditions. On the front, the offering from Motorola also features a 16-megapixel, f/2.0 front-facing snapper for the selfie enthusiasts. Similar to the rear camera module, the front-facing camera is also coupled with an LED flash for low-light photography. Under its hood, the Moto X4 is powered by an octa-core Snapdragon 630 processor from Qualcomm which clocks in at 2.2 GHz. The smartphone also packs in 3GB of RAM for seamless multitasking. Also in terms of memory, the smartphone will ship with 32GB of memory inbuilt which can be expanded up to 256 GB through a microSD card. The Moto X4 is kept up and running thanks to its 3000 mAh non-removable Li-Ion battery unit under its hood. The device also features fast charging that should aid in topping off that battery swiftly when you're in a hurry. The phone also checks off all the boxes when it comes to connectivity featuring support for dual-band Wi-Fi 802.11 a/b/g/n/ac, Bluetooth 5.0, GPS, NFC and USB Type-C.